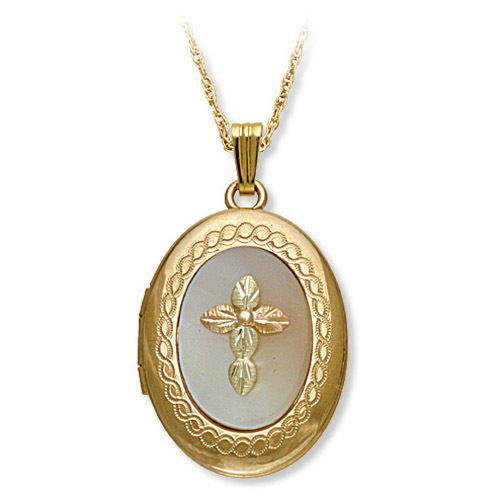 Desc: Landstom's Black Hills Gold oval locket. Mother of Pearl is on the front with a cross over the M.O.P. The cross is fashioned from rose and green gold leaves. Made in the United States of America.